An automatic drip coffee maker (automatic drip coffeemaker) is a coffee brewing device that employs the filter-drip method of coffee brewing. Water is placed into the automatic drip machine which then heats the water and drains it onto a bed of roasted, ground coffee. The water seeps through the coffee grounds, absorbing the coffee’s flavor materials that give coffee its flavors and aromas. The coffee beans then pass through a paper filter into a coffee pot. The sweet smell of coffee in the morning, no other aroma can get you out of bed quicker. Coffee’s aroma is also known as a bouquet or nose, and this is different from the fragrance you smell after you have just ground a fresh batch of your favorite coffee beans. For the coffee lovers that just want to enjoy an easy to make cup of joe and smell that delicious aroma in the morning here is your top five best automatic coffee makers. There are literally hundreds of different coffee makers on the market from different brands, ranging from single-cup servings to 8-cup and 12-cup models and more. Researching all these can be a daunting task, never minding the old models not produced any more, or new models coming out every few months. Here’s a distilled down review of the top models based on customer reviews and sales volumes. One push of a button and this coffee maker will regulate the brew time, water temperature and volume while you get yourself ready for your day. For auto brew, the perfect temperature is 197.6 – 204.8 F closer to 204 is best, and boiling temperature at 212 degrees F will burn your coffee. You can rest easy knowing this coffee maker will never reach boiling. Breville is an industry leader in mid-to-high-end coffee makers, making beautifully designed coffee makers that are functional and well priced. This coffee maker takes the grinding of your coffee out of the equation. The built in grinder makes it easy to set it and forget it. 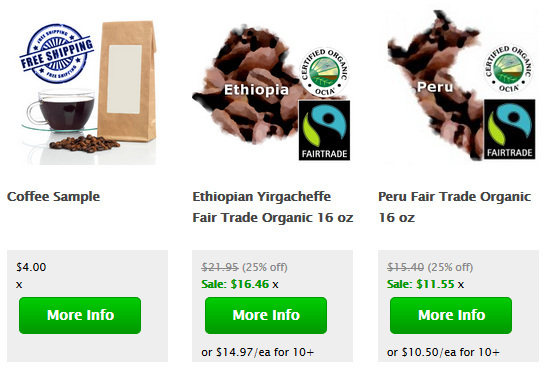 Coffee professionals always advocate for grinding coffee beans fresh as you need them. Pre ground coffee has already lost many of its essential oils and fragrance; this coffee maker will grind to your preferred setting and brew right into a carafe, cup or travel mug. The Hamilton Beach is very cost efficient and brews your coffee in an enclosed system with a warmer. There is no carafe to clean after your finished, and you can pour one cup at a time over the course of the day ensuring consistency with each cup. With the Cuisinart you can set a brew time up to 24 hours ahead, making getting out of bed and pouring your cup of coffee before your eyes are open a reality. This maker also gives you two options for coffee strength, regular and bold. Overall this coffee maker is an excellent choice for households that may have different preferences on coffee strength. Marketed for its simple design and back to basics brewing technique. With the use of filtered water, this coffee maker will heat to the perfect temperature and saturate your coffee grinds in a uniformed manner because of its uniquely designed flat bottom filter basket. These five automatic coffee makers come out on top when it comes to easy; high quality brewed coffee. With different features and prices tags, they are worth investigating to see which works best for your lifestyle and tastes. What features should you be looking at when trying to pick out a machine? There’s a number of basic must-haves, then there’s a list of would-be-nice-to-haves. As you’d expect, the nice-to-haves come with a higher price point. For most people, spending a little more on a higher-end model is a smart investment – not only is coffee a daily (or multiple-times-daily) habit, it’s one of those things people can’t feel they can live without. Every dollar spent is spread over the multiple weeks, months and years in the life of the equipment, making the convenience worth a couple cents per cup. Compare that with a $2.00 – $5.00 cup of coffee at a coffee shop, and it turns into a wise investment. You might also be interested in looking into Semi-Automatic Espresso Makers if you’re looking to make cafe-style lattes and cappuccinos. What’s important for a coffee maker? Being able to make a good cup of coffee. From that perspective, the basics of the coffee maker means being able to press a button and have hot coffee come out. For a lot of people, not having to think about anything more than this first thing in the morning is the critical feature – just press and go. Those with a little more control would enjoy being able to adjust the brewing time and temperature, to play with the end-result of their brewed coffee. Some coffees simply require longer to brew or higher temperatures than others to extract all the flavors, while others will turn bitter if brewed for too long. If you’re someone who likes trying different single origin coffees, this may be an important feature. If you need to be able to adjust the number of cups a coffee maker makes, you’ll want a machine with some flexibility. Some machines will only brew one size (or pot) of coffee, which is great if it’s just you or your spouse drinking the same every day, but others will want to adjust the amount of water and grounds used depending on whether they’re alone or with guests that day. The work-around for this is brewing multiple pots when having guests, but can be time-consuming when you’d rather spend time with your visitors. Price might be the end-all-be-all decision maker here for some, but like we mentioned above, this may be something you want to spend a little more on. Something that gets used daily has its cost spread over time, and being able to brew a better cup of coffee means spending less at coffee shops and less hassle having to go out to get a good cup. Generally speaking, a good coffee maker will range from about $40 up to $200, with more features and options being added to the higher end of the price range. Most people forget that automatic drip coffee makers require regular cleaning and maintenance. Check out our guide on How to Clean Your Coffee Maker.